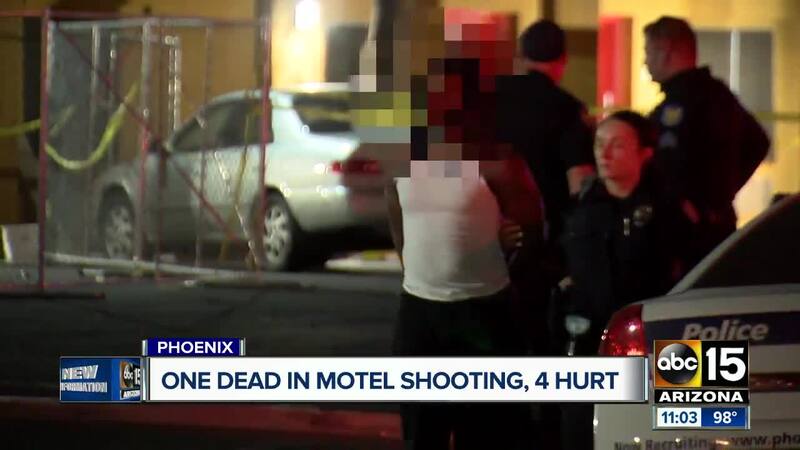 Police are investigating after five people were shot in central Phoenix Sunday evening. 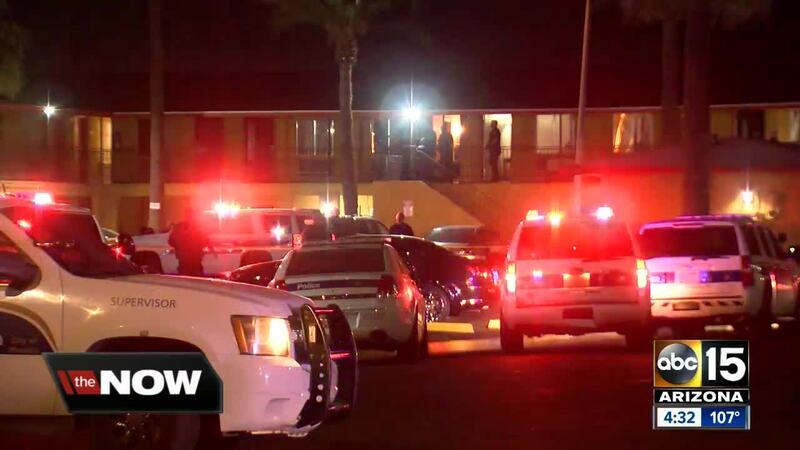 The shooting happened at the Airport Inn near 24th and Van Buren streets shortly before 8 p.m. Witnesses said they heard a verbal argument before shots were fired. Officials said Monday morning that one man, identified as 37-year-old Jessuh Williams, died from his injuries at the hospital. 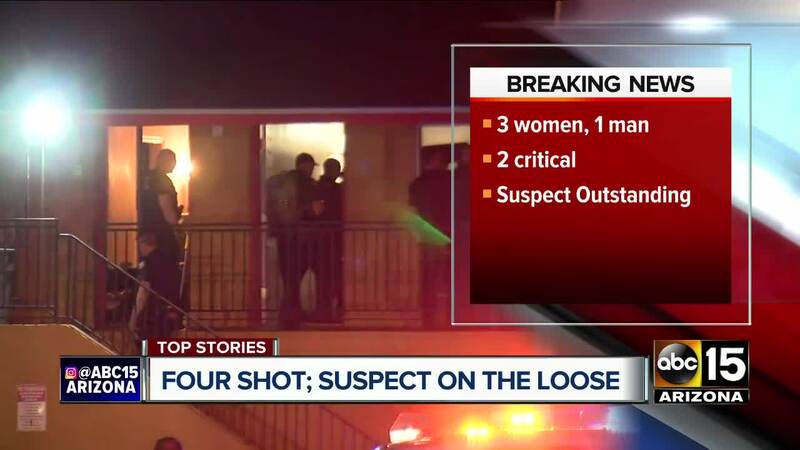 Three women were also found with gunshot wounds, but are said to have non-life-threatening injuries. A fifth victim, a woman, contacted police later and said she had also been injured, but had left the scene before officers arrived. Police say the suspect is still outstanding and they're looking for information on the incident. If you know anything, call police or Silent Witness at 480-WITNESS.